How does music affect our moods? What is the best way to develop musical skills? How does the definition of music vary between cultures? 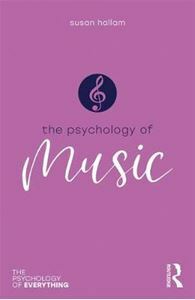 The Psychology of Music explores the important impact music has on our everyday lives, and its influence on society, groups and individual people. It demonstrates how music can benefit our intellectual functioning, and health and well-being, and examines musical ability as both a gift and something that can be developed through learning and practice. Music can enhance our understanding of humanity and modern life and The Psychology of Music shows us the significance of music, and the power it can have over our behaviour.